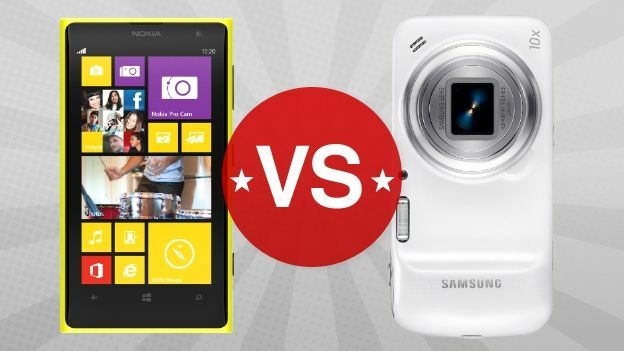 We put our hands-on review of the Lumia 1020 against the Samsung Galaxy S4 Zoom review to see which cameraphone powerhouse is the one for you. Cameras on phones have come a long way since those 0.3 megapixel snappers used to sit pride of price on our device. Flagship models like the iPhone 5 and Nexus 4 carry 8mp shooters, while the Samsung Galaxy S4 boasts 12 mp. However these are put to shame by the 16mp, zoom laded lens of the S4 Zoom and the awesome PureView, 41-megapixel one on the Lumia 1020. Check out what we think of both devices above.